Media watchdog GLAAD is launching two new programs — and two key hires to go with them — in response to “rising threats” against the LGBTQ community in the age of Trump. Rich Ferraro has been named GLAAD Chief Communications Officer, returning to the organization after a stint as a senior director in communications and public affairs at Viacom. Ferraro will oversee the newly-created News & Rapid Response department, which will work in real time with journalists and outlets at large to “ensure that the media is accurately and fairly representing LGBTQ people in its reporting,” a GLAAD spokesperson told TheWrap. The program will also provide resources to assist in “holding elected officials accountable,” in the vein of their Trump Accountability Project launched the day after last November’s presidential election. The announcement comes on the same day the Trump administration is reportedly at war with itself over an executive order that would rescind rights afforded to transgender students by the Obama administration. Ferraro is an Emmy-winning producer on the MTV-Logo documentary “Laverne Cox Presents: The T Word.” He’s overseen strategies on GLAAD initiatives such as transgender inclusion in the Miss Universe pageant, and the campaign to end the Boy Scouts of America’s ban on gay scouts. “At a time when anti-LGBTQ hate crimes are on the rise and discriminatory legislation is being considered on both the state and federal levels, GLAAD is committed to expanding its long-term strategic capabilities as well as its capacity,” Sarah Kate Ellis, GLAAD President & CEO, told TheWrap. “In the current social climate, it is more important than ever for us to double down on our work to accelerate LGBTQ acceptance and help to shape a world in which everyone is free to live the life they love,” Ellis concluded. GLAAD will also launch a Digital Campaigns & External Engagement department to work with celebrities, influencers, athletes, musicians and others to create online campaigns targeted at allies at intersectional communities. 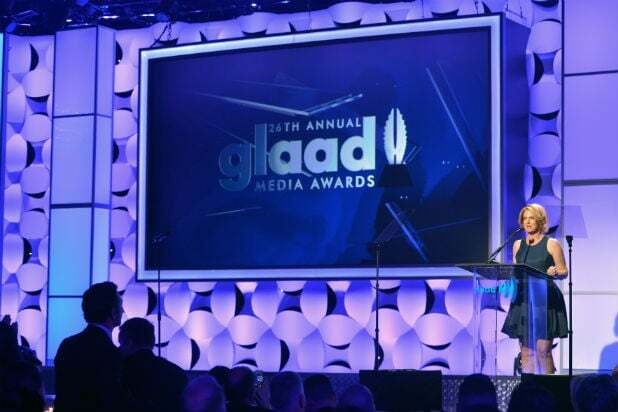 In addition to Ferraro, GLAAD has named Jim Halloran as Chief Digital Officer. Halloran was an advisor to the Obama administration’s White House LGBT Tech & Innovation program, as well as to the United Nations Office of the High Commissioner on Human Rights.